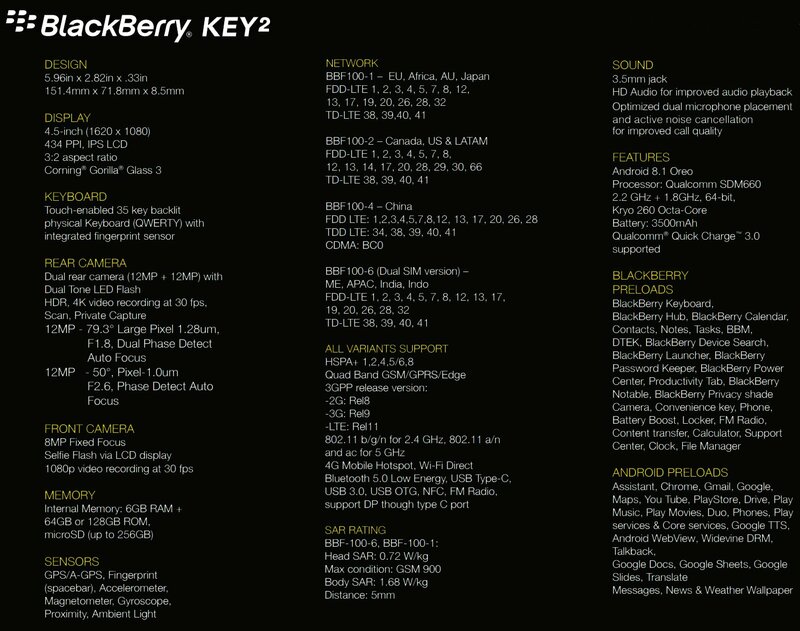 Tipster Evan Blass has revealed the complete specifications sheet of the upcoming BlackBerry KEY2. 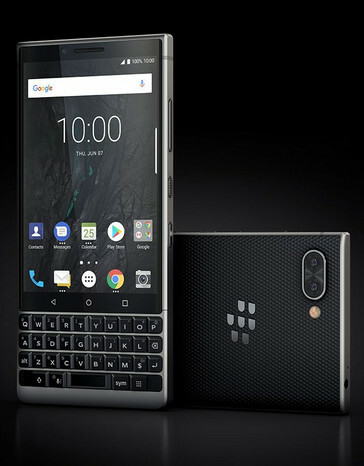 The device makes a number of improvements on its predecessor but also comes with a price tag one would expect to find on a flagship. 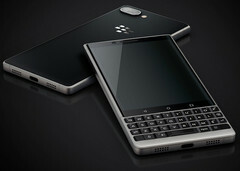 BlackBerry is billed to announce its next device soon. The device is the KEY2 and will succeed the KEYone that was released slightly over a year ago as the company’s marquee device. Complete details of the device surfaced earlier today, thanks to popular tipster Evan Blass. The KEY2 will sport a 4.5-inch display with a 1620x1080 resolution. 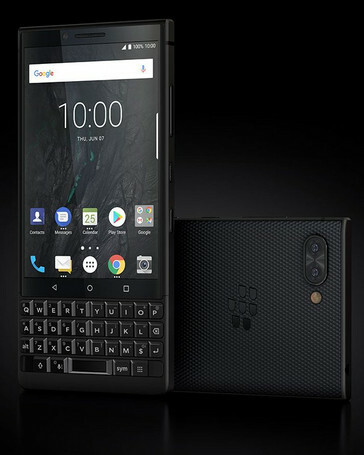 That smaller size and irregular resolution is expected, of course, due to the fact that the device features a physical keyboard. It will be one of the few devices to do so this year, and that’s what makes it interesting to most. It will feature a dual rear camera setup comprised of two 12 MP sensors with f/1.8 and f/2.6 apertures respectively. Not particularly impressive on paper. The selfie camera is an 8 MP unit. It comes with a 3.5mm headphone jack, a fingerprint sensor integrated into the keyboard, and 4K video recording at 30fps. The KEY2 will run on Android 8.1 Oreo, and will be powered by a Snapdragon 660. A 3500 mAh battery provides juice, with Quick Charge 3.0 keeping the charging time lower. 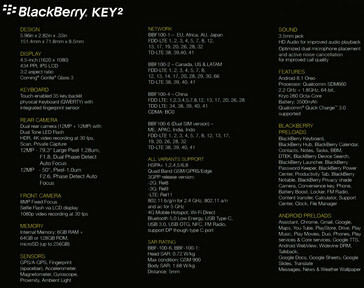 It will come in two memory configurations: 64 GB or 128 GB of storage. Both variants come with 6 GB of RAM onboard, and also offer the option of MicroSD expansion. Pricing is where things go off the rails with the device. 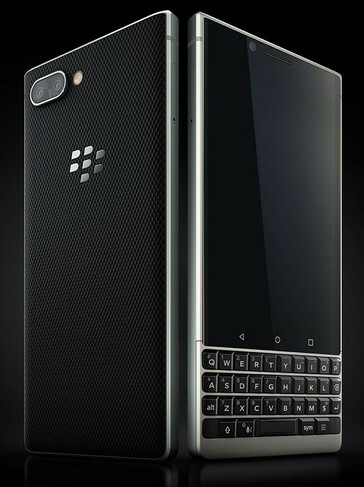 According to Evan Blass, the device will retail for US$649 in the US, €649 in Europe, £579 in the UK, and CAD $829 in Canada. 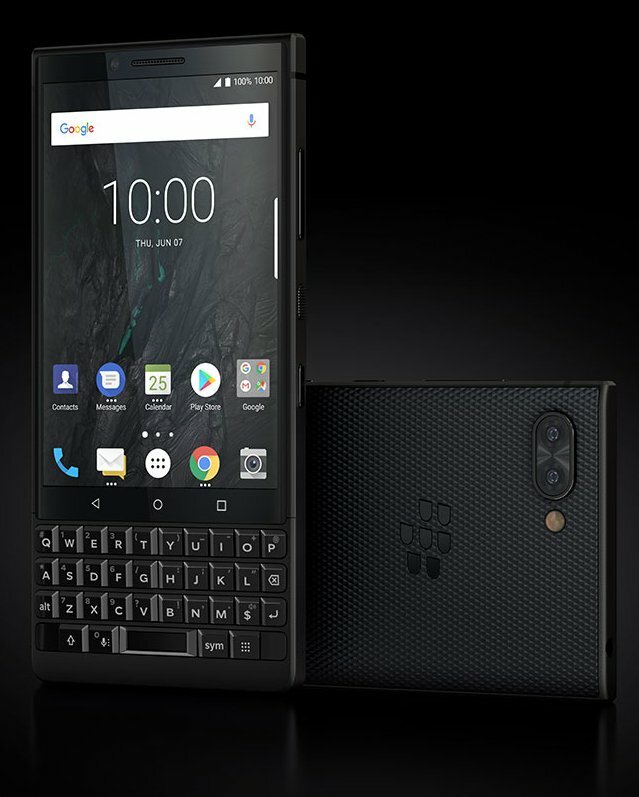 Those price tags are a tad unreasonable for a device that doesn’t have much going for it apart from its physical keyboard. The Samsung Galaxy S9, for example, can be had for similar prices in the US.